Have a totally new look at the best Apple apps in 2016 to find truly game-changing ones. As a veteran mobile app developer, Digiteum certainly knows its onions. We have always been excited to learn what other iOS app inventors out there come up with, conduct our own experiments with usability solutions, and watch how the surface of app environment is transformed by novel technologies that emerge like mushrooms after spring rain. Relying on this expertise, we went through the best apps Apple placed its bet on in 2016 and singled out some tech innovative and stunningly performed ones. 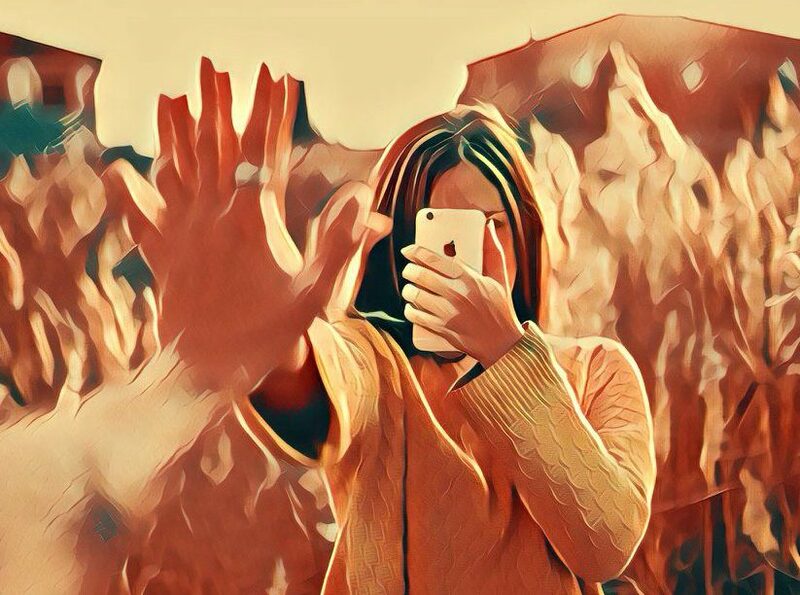 Two game-changing apps that put AI and AR on the palms of every smartphone user. Three healthcare apps that won’t make your body and mind 100% healthy, but at least will give it a go. Two UX/UI top apps that are so elegant that they may make you cheat on your Mail and Notes. A couple of photo and video iOS apps that everyone has already used at least once. Three Uber-like apps that have nothing to do with rides, but provide you with the right service in the right place at the right time. Two different interactive apps that use novel tech to erase the limits of perception and space and create 3D and audio interfaces to learn. It’s uneasy to predict what path virtual and augmented reality, artificial intelligence and machine learning, as well as other futuristic technologies will take this year. However, it’s clear that these are not mere buzzwords, but articulated trends that will keep on growing. 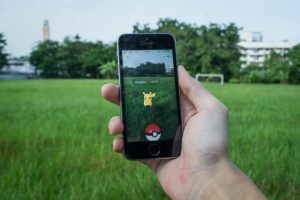 Some consider Pokémon Go to be a fad, on of the best iPhone apps not only in 2016, but in general, a simple game with a fresh idea, or even an outdoor activity - the gamers explore the city, meet new people, go out, a lot. Those in the know, however, see this application as a prestep to a huge leap, an eye-opener that may explain how augmented reality can be mapped onto the real world. What’s so special? Functionality of the iOS app is based on geolocation and augmented reality. In other words, gaming takes big technology and brings it into everyone’s smartphone. “It [AR] multiplies the realities we can create together. I really believe that it is a culturally transforming technology.” Robin Hunicke, games studio Funomena, San Francisco. Probably, this approach will further reshape other industries and fields such as medicine, education, real estate and architecture at a deeper level. One thing is clear: AR and VR will keep on developing and transforming the life as we know it. This is why we may expect more pokemongos for iPhone to reveal themselves soon. This is another popular app from the best Apple apps 2016 list that won’t get into the basket together with hundreds of well-implemented photo-editors and filters. For an IT professional, Prisma is much bigger than that, since it’s an app powered by neural network and artificial intelligence. What’s so special? Simply put, one of the best app store apps of this year, Prisma is the tool that allows turning photos into artistically designed pictures in the styles that refer to great artists, such as Kandinsky or Degas, or popular drawing schools such as DC or Miyazaki. 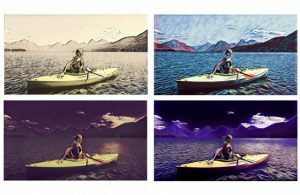 Behind this simplicity, there's a complex technology for photo processing that, instead of filtering, uses neural network and deep learning algorithms to recreate the images in a totally new style. “We’re not just overlaying like an Instagram filter. We create the photo from scratch. So there is no photo, we took your photo, then perform some operations and give a new photo to you. So deep learning is like an artist, something like that.” Alexey Moiseenkov for TechCrunch. First of all, healthcare is a trend, always. When it comes to mHealth, this field is expected to keep on developing great Apple apps intensively due to its solid connection to the Internet of Things (IoT), which is booming. The numbers published in the Research2Guidance report on mHealth App Development only prove and add on: 259,000 mHealth apps from around 58,000 developers are currently available on major app stores up to the end of 2016. Some of them got into the list of best Apple apps 2016. 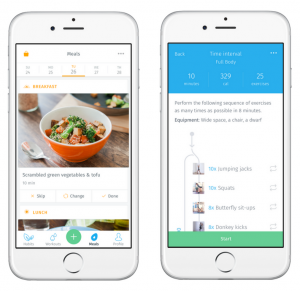 The developers of the app that sets workouts and nutrition plans claim to make you “healthier, stronger and leaner.” Apart from scientific approach to exercises, healthy recipes, meal scheduling and grocery lists, 8bit stands out from similar fitness and habit apps. What’s so special? Mostly, this app deserves attention thanks to personalization features and interface. On one hand, it’s intuitive and visual, created along with the best practices of Google and Apple style clean design. On the other hand, it offers a full range of personalization features that turn a fitness app into a personal coach. It uses memory and formulas to create individual content for each user based on a set of questions and goals the user defines for oneself. Where 8bit falls weak, Meditation Studio, another best Apple app 2016, fills the gaps. This iOS app was created to untangle the minds of the users through a selection of more than 200 guided meditations that can tune in with any lifestyle and timeframe from a regular Mo-Fri hour in traffic to 15 minute presleep relaxation in front of the news. What’s so special? Basically, it’s an iPhone app for Zen created in a Zen like UI. Simple to use, it is a good example of how personalization and smart design work. Apart from library, tracking, personal coaching and step-by-step courses features, this app can sync with the user’s calendar schedule to provide maximum automation of time management. Memorado is different from other best apps, 8bit and Meditation Studio, so as the technology behind it. Powered by neuroscience, this app is a pocket trainer to boost cognitive functions starting from memory and concentration to mathematical skills and logics. What’s so special? Memorado focuses on individual approach for brain training and uses multiple features - sync with calendar, memory, stats - that form a sweet icing on top of smart functionality and well-implemented design. In a way, Memorado is the gym for brains that one can carry in an iPhone and use at one’s convenience. In fact, this is the best thing about it, so as about 8bit and Meditation Studio. All together these apps are transferable, adjustable, and highly personalized. Probably, this is how they got Apple put them into the best apps 2016 list. If would be unfair to miss the apps that put aside the fun part and actually provide support and information when it’s necessary. We’re talking about disease-specific mHealth applications developed for the ones fighting with leukemia, lymphoma, melanoma and other cancer-related severe illnesses. For example, Focus on Lymphoma developed by Digiteum in 2013 that was listed among the best apps on App Store and was later named as a Social Media Icon Award Winner is a free regularly updated app that helps people with lymphoma manage their everyday lives, track their symptoms, communicate with their doctors, fulfil prescriptions, and get the most recent information about their type of disease. This category deserves its place among other best Apple apps 2016. Practice shows that if designed and engineered perfectly, even the simplest tool can grow into the users’ favorite. This is true for Spark and Bear. Business Insider calls Spark smart, clean and fast. We say, it’s worth trying the application that implements ordinary tasks better. In this case, a native mail agent stands in the way of tech giants such as Google and Apple, and does it pretty confidently. What’s so special? Despite being limited for Apple products only, this app is definitely worth a try for its personalization, customization, smart UX and clean UI that we, personally, value. So do the customers, by the way. Not only does it sync well, but also proves that alternative mail agents can perform better than traditional ones: for example, Mail app on your Mac and the others you use not because you choose to, but because it is preinstalled on all your devices. Bear in another everyday use application that totally won our hearts. Not only because of the cute icon, but also for the care and wit it was built with. Some may put the Pages and Notes aside having Bear on. The range of applications in this category may constantly grow: both industries are getting more and more focused on personalization through applications, hence, more competitive and valued by Millennial customers. However, we pick up only these two among other best Apple apps 2016. Today more people use over-the-top services to stream television and movies passing traditional satellite by. So there’s no need to explain the concept of Netflix and the way it contributes to making video content more flexible and customer-oriented. The app is simply an additional channel that helps Netflix reach more customers. And it’s worth mentioning. What’s so special? The focus of Netflix application, so as Netflix as a system, is in personalized streaming, filtering video content according to the user’s preferences and selected options, and most importantly, system memory and content update. Cost: First month - free on App Store, then $7,99/month. 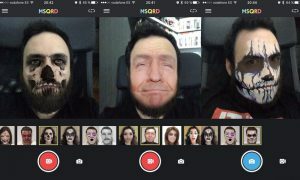 Originally developed in Minsk, Belarus, MSQRD was rated as one of top 5 live face swap apps by The Guardian, was purchased by Facebook, and later got into the list of best Apple apps 2016 for a reason. What’s so special? It is often compared to Snapchat. However, MSQRD is more than a live filter, communication channel, photo editor and video streaming tool. Behind all the fun is an exquisite combination of machine learning, face detection and tracking, facial expression recognition, 3D graphics and visual effects. 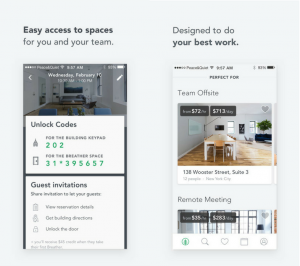 In short, this iOS app is a sort of AirBnB that allows people to search and book workspaces and offices and provides real estate businesses with the platform to showcase and sell their locations for rent. What’s so special? Geolocation and personalization. The technologies behind the application are evident and familiar: geolocation, API, recommendations and feedback, pay-as-you-go model mapped onto visual interface. For an Uber-like app it’s important to be simple and at the same time smart. This is basically what Breather is. Another Uber-like app that connects customers with designers and allows for fast evaluation and feedback. What’s so special? The best point of this Apple app, apart from idea and implementation, is the guarantee they offer. Despite the fact that Quanvast is only a search and match service, it offers to leverage the customers risks with $50,000 protection over renovation deposits. This is rare, hence valuable. It’s hard to add anything, since UberEATS name speaks for itself. This is the application that connects people and food delivery, fast and simple. What’s so special? It was created by Uber itself. The interface makes you feel like you are ordering an uber car to bring your pizza. There’s no doubt that Uber-like apps will keep on piling up and connect various services with customers more effectively. In fact, today it’s already getting harder to find a service that doesn’t have a similar platform. 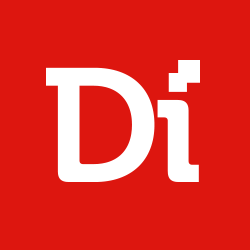 Digiteum is also into Uber-like apps. In 2016 we have developed YardHub for outdoor services that further was transformed into seasonal Snohub. Today this platform allows New-Yorkers to find and order a snow cleaning service fast and easily. Some of the best Apple apps 2016, probably, were created to organically comply with the smartphone features and reveal the beauty of the technologies hidden underneath the screens. Mind-blowing app for education that both makes incomprehensive easier to understand and turns it into visual at the same time. This iOS app uses the magic of 3D picture to teach anatomy in a totally new way. What’s so special? Complete Anatomy is a perfect example of the use of modern technologies in education and making science available to people. Not only does it visualize more than 6,500 images in breathtaking 3G, but also makes learning something as complex as anatomy simpler. Final app in the list of the best Apple apps 2016 that definitely will inspire you for adventures. Detour is an audio tour guide that uses very precise geolocation and interactive communication tool that knows what to say, when to say, and how to do it properly. Awarded by Wired and Forbes, this application is predicted to grow fast and rake up more and more locations to tour about. What’s so special? Many apps use geolocation, but not so many create brand new communication environment - interactive audio interface predicted to grow in quantity and quality in time. This app uses high-resolution virtual maps, sensitive geolocation and place recognition. This is the example of how the technologies used in an app allow to come away from traditional interfaces and develop new ones, aware ones. All in all, it looks like the rumors about the Apps to come to an end and step aside for alternative options are exaggerated. Consider these stunning apps, all the others listed as the best Apple apps 2016, and the ones Apple pushed forward for good use, and you will clearly see, that App Boom Is So Not Over.